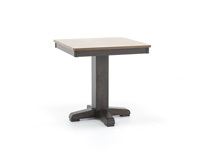 It's always nice to have options! 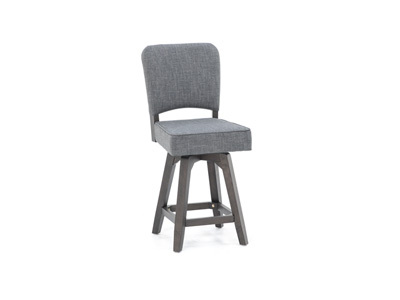 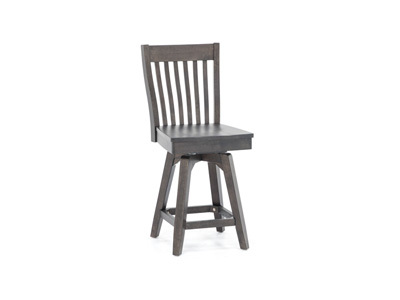 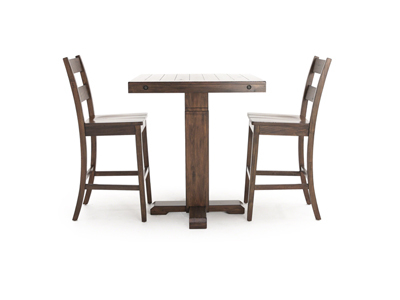 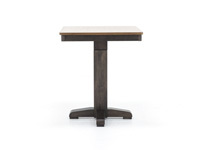 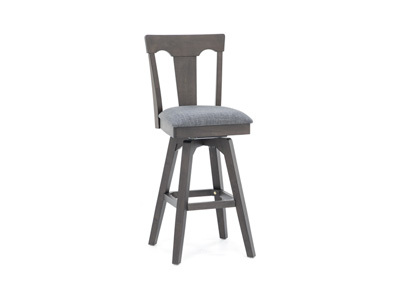 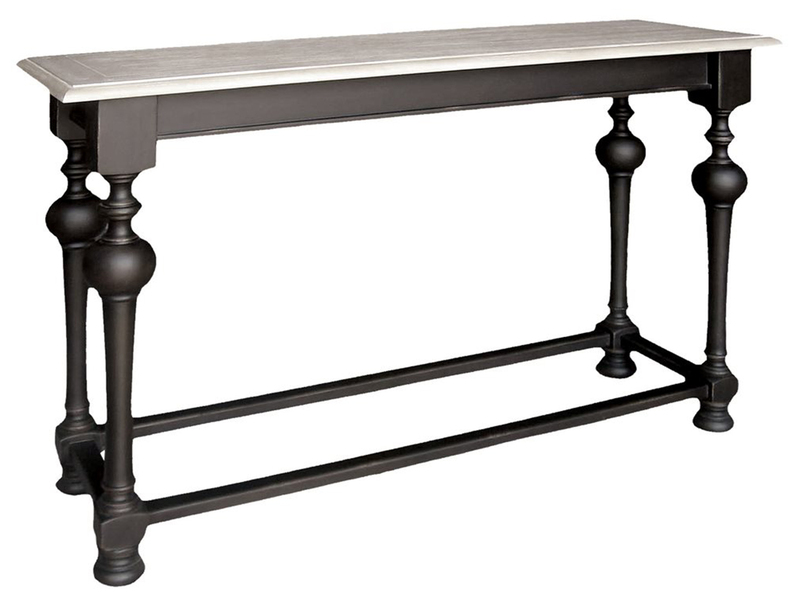 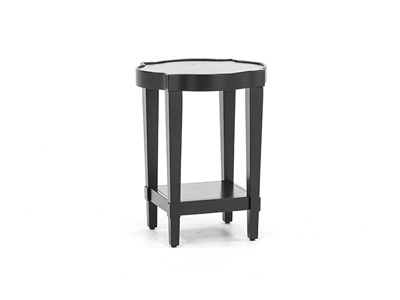 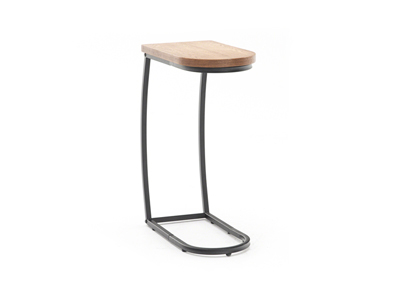 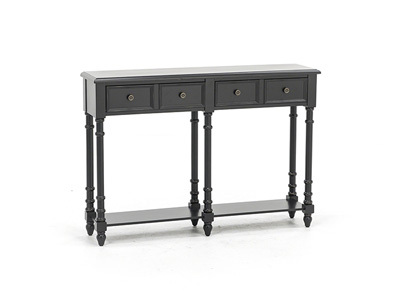 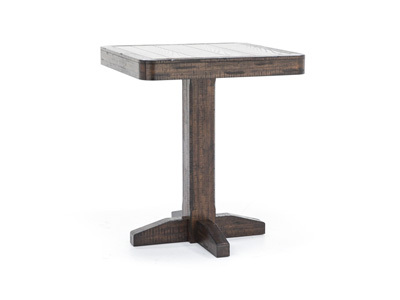 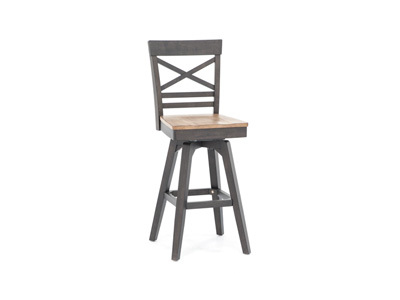 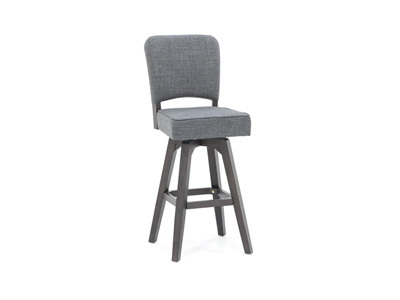 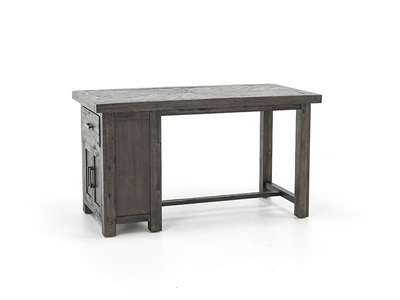 This two-toned adjustable height pub table is constructed of a square acacia veneer topped with a black oak base. 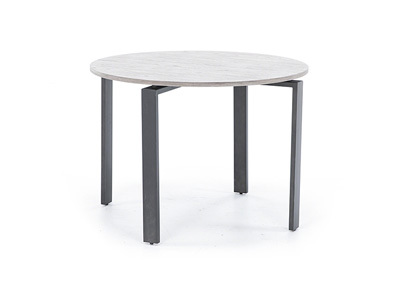 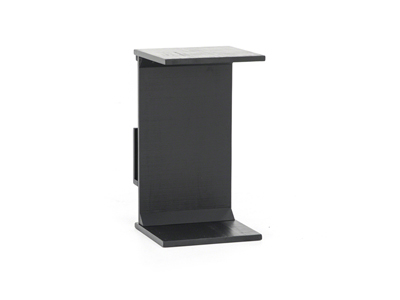 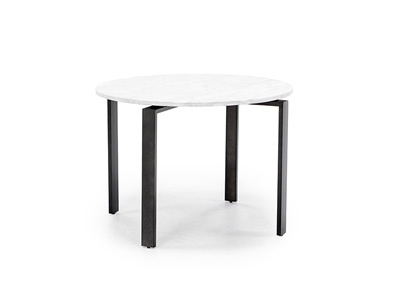 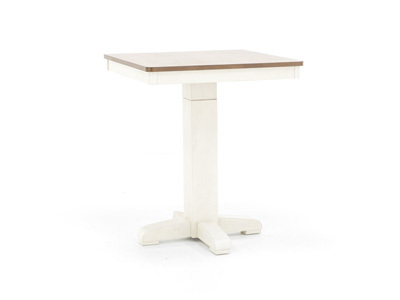 It features an adjustable filler that can raise the table from 36" to 42" in height.